Every once in a while, TiVo will allow users to transfer lifetime service to a newer box. Tivo is having one of those deals now, allowing existing customers with old TiVo series boxes to transfer their Product Lifetime service. The Once in a lifetime deal you’ve been waiting for. For a limited time, transfer lifetime service from your TiVo Series 2 or Series 3 DVR for only $99 with a purchase of any new TiVo BOLT™1. • Streaming apps like Netflix and Amazon Prime with all your live TV and recorded content. • SkipMode which lets you skip over entire commercial breaks at the touch of a button. • Jaw dropping 4K quality. Usually, the TiVo Product Lifetime Service (now referred to as all-in service plan) costs a user approximately $550! That means with this $99 PLS transfer promotion, one can save $450 when they buy a new TiVo BOLT and Transfer your lifetime service. Plus free shipping! The only other big consideration is that old box you want to transfer technically has to have connected to the TiVo service between 3/28/16 and 3/28/17 in order to get onto the deal. Some users have had luck calling in and transferring boxes that haven’t connected in years, while others have been turned away. My advice (and the advice of other successful members that got on the deal)? Have no shame and keep calling. 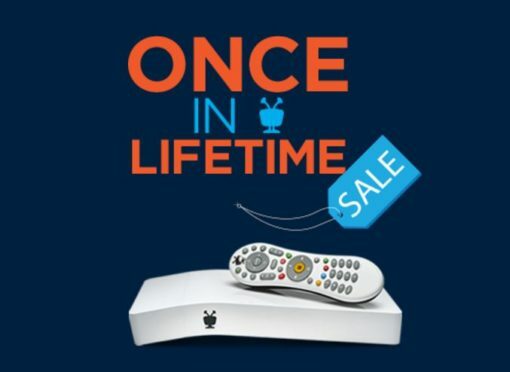 The offer ends April 10th, so order online ASAP (you’ll need a unique code) or as we mentioned, there’s a lot more luck calling in — TiVo Sales Support (877) BUY-TIVO or (877) 289-8486 — many of those that got in on offer didn’t even mention the code when placing their orders over the phone. Good luck! TiVo’s Not-So-Lifetime Service: Where do TiVos go to die? How can I watch HBO GO on Tivo? Where did Netflix go on my Tivo? How can I add it?